Perfect in your quiet personal space to rest, our handmade Asian bedroom furniture has been inspired by traditional Japanese and Balinese furniture makers. 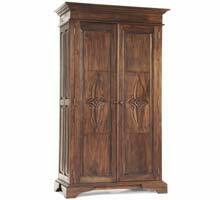 Asian furniture is most popular in bedroom settings because its simple styles helps to promote peace and calm. 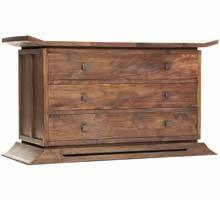 As we are an eco-friendly retailer of luxury Oriental, Balinese and Japanese furniture, we use reclaimed teak, plantation teak and reclaimed mahogany to create beautiful bedroom furnishings that will enhance any bedroom. 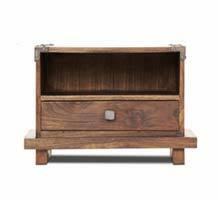 This wood is not only sustainable, but it also provides a beautiful and rustic look to our Asian furniture pieces. Enjoy our collection of platform beds, dressers, nightstands, duvets and more. Turn your bedroom into a simple and elegant place of rest with one of a kind custom made Japanese bedroom furniture. Our Asian bedroom furniture collection includes an extensive selection of Japanese platform beds and wood platform bed frames made with mortise and tenon joinery from sustainable materials such as reclaimed teak and mahogany. 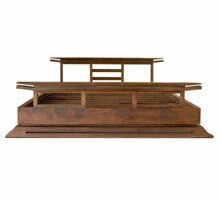 Platform beds are a popular choice because they combine the more contemporary styles of the West with an Eastern flair. These bedroom pieces feature the best in Asian design. 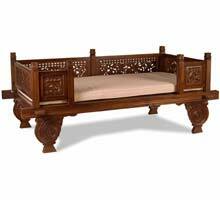 For more simple tastes, choose a minimalist Japanese platform bed; Asian bedroom furniture is also popular in more ornate Indonesian styles. Most of our platform beds also feature coordinating case goods such as nightstands and dressers for a cohesive look. We are standing by to help you create a beautiful bedroom worthy of your time and relaxation. Tansu.net gets its name from traditional Japanese chests that were created as show pieces in fine Japanese furniture stores. Their style can be recognized by the beautiful metal fittings and are often designed for storage space. Tansu Asian furniture has two major styles, Kaidan-dansu which is the more common stair step masterpieces and Choba-dansu which boast beautiful metal hardware.